Before Rob Ryan was hired as the Saints' defensive coordinator, he went to the St. Louis Rams, a gig he held for 6,899 minutes. Differences with head coach Jeff Fisher led Ryan to quit and then—reportedly—to celebrate his new unemployment by immediately getting some fast food. It was 7:30 in the goddamn morning. According to Silver's account, Ryan entered Fisher's office at 7:30 a.m., dropped his keys on the desk and told the coach he wanted out. Meanwhile, Fisher's other assistants were in a staff meeting with a window that looked out on the parking lot. The Rams' coaches watched Ryan leave the building and head across the street to a McDonald's. Ryan "goes to get a Big Mac and never comes back," Silver said. 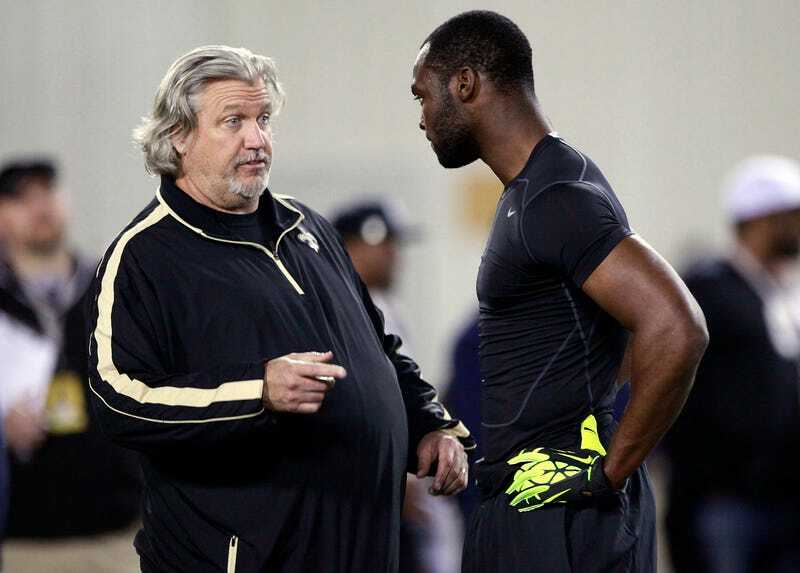 The lone wolf known as Rob Ryan left a pack he could never truly join. Life is an unpredictable journey. Who knows where the wind will take him next—oh, oh wait. There he is. He's getting some hash browns. Awooooo.